Ph.D. in Cell, Molecular and Developmental Biology, Johns Hopkins University, 2007. Research Teaching Specialist, UMDNJ/CINJ, New Brunswick, NJ. Dudgeon, C., Shreeram, S., Tanoue, K., Mazur, S., Robinson, R. C., Appella, E. and Bulavin, D. V. Genetic Variants of the Wip1 Phosphatase Increase the Response to DNA Damage. (Submitted, Oncogene). Sun, J., Sun, Q., Brown, M. F., Dudgeon, C., Chandler, J., Xu, X., Shu, Y., Zhang, L. and Yu, J. (2012). The multi-targeted kinase inhibitor sunitinib induces apoptosis in colon cancer cells via PUMA. PLoS ONE 7(8): e43158. Dudgeon, C., Peng, R., Wang, P., Sebastiani, A., Yu, J. and Zhang, L. (2012). Inhibiting oncogenic signaling by sorafenib activates PUMA via GSK3beta and NF-kappaB to suppress tumor cell growth. Oncogene 31(46): 4848-4858. Dudgeon, C., Wang, P., Sun, X., Peng, R., Sun, Q., Yu, J. and Zhang, L. (2010). PUMA induction by FoxO3a mediates the anticancer activities of the broad-range kinase inhibitor UCN-01. Mol Cancer Ther 9(11): 2893-2902. Zhou, G., Dudgeon, C., Li, M., Cao, Y., Zhang, L. and Jin, H. (2010). Molecular cloning of the HGD gene and association of SNPs with meat quality traits in Chinese red cattle. Mol Biol Rep 37(1): 603-611. Wang, P., Qiu, W., Dudgeon, C., Liu, H., Huang, C., Zambetti, G. P., Yu, J. and Zhang, L. (2009). PUMA is directly activated by NF-kappaB and contributes to TNF-alpha-induced apoptosis. Cell Death Differ 16(9): 1192-1202. Dudgeon, C. and Yu, J. (2008). Green Tea and PUMA: A Deadly Combination? Cancer Biol Ther 7:727-28. Shreeram, S., Demidov, O. N., Hee, W. K., Yamaguchi, H., Onishi, N., Kek, C., Timofeev, O. N., Dudgeon, C., Fornace, A. J., Anderson, C. W., Minami, Y., Appella, E. and Bulavin, D. V. (2006). Wip1 phosphatase modulates ATM-dependent signaling pathways. Mol Cell 23(5): 757-764. Dudgeon, C., Kek, C., Demidov, O. N., Saito, S., Fernandes, K., Diot, A., Bourdon, J. C., Lane, D. P., Appella, E., Fornace, A. J., Jr. and Bulavin, D. V. (2006). Tumor susceptibility and apoptosis defect in a mouse strain expressing a human p53 transgene. Cancer Res 66(6): 2928-2936. Bulavin, D. V., Phillips, C., Nannenga, B., Timofeev, O., Donehower, L. A., Anderson, C. W., Appella, E. and Fornace, A. J., Jr. (2004). Inactivation of the Wip1 phosphatase inhibits mammary tumorigenesis through p38 MAPK-mediated activation of the p16(Ink4a)-p19(Arf) pathway. Nat Genet 36(4): 343-350. Bulavin, D. V., Demidenko, Z. N., Phillips, C., Moody, S. A. and Fornace, A. J., Jr. (2003). Phosphorylation of Xenopus Cdc25C at Ser285 interferes with ability to activate a DNA damage replication checkpoint in pre-midblastula embryos. Cell Cycle 2(3): 263-266. Bulavin, D. V., Higashimoto, Y., Demidenko, Z. N., Meek, S., Graves, P., Phillips, C., Zhao, H., Moody, S. A., Appella, E., Piwnica-Worms, H. and Fornace, A. J., Jr. (2003). Dual phosphorylation controls Cdc25 phosphatases and mitotic entry. Nat Cell Biol 5(6): 545-551. Bulavin, D. V., Demidov, O. N., Saito, S., Kauraniemi, P., Phillips, C., Amundson, S. A., Ambrosino, C., Sauter, G., Nebreda, A. R., Anderson, C. W., Kallioniemi, A., Fornace, A. J., Jr. and Appella, E. (2002). 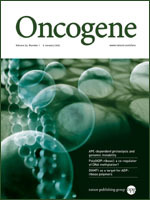 Amplification of PPM1D in human tumors abrogates p53 tumor-suppressor activity. Nat Genet 31(2): 210-215.